Dubai, United Arab Emirates, August 9, 2018: Summer is not the time to hold back on taking pictures. Summer is when you go on holidays, travel the world, and hit the beach with your family and friends. The sun is out which means it's time to get snap-happy. Do you often find yourself having to choose which memories to delete to make room for more space and more photos or videos? You are not alone. 41 per cent of people in the UAE are having difficulty finding memory space on their mobile devices, and running out of space monthly, whereas 55 per cent are running out space every three months according to a UAE-wide independent consumer research conducted by YouGov, an international market research and data analytics firm, on behalf of Western Digital Corporation (WDC). 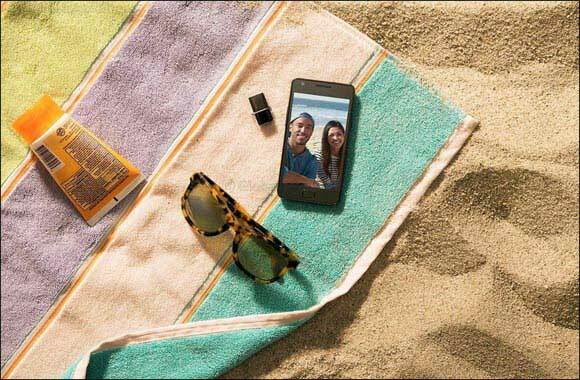 This summer season you will not have to worry about your precious memories and can continue to capture as many photos the most convenient way, on your mobile devices. Sandisk and Western Digital, WDC brands, will help you easily protect all your precious memories and content without having to sacrifice your own photos or photos/videos of your loved ones. SanDisk gives you freedom from extra cables and laptops during your summer adventures. The SanDisk iXpand Flash Drive from Western Digital Corporation has been designed to free up space on both iPhones and iPads. By simply plugging in the lightning connector, you can easily move photos, videos and other files across devices to avoid the dreaded ‘storage full’ message throughout your holiday. For Android users, the SanDisk Ultra Dual USB Type-C Flash Drive and SanDisk Ultra USB Type-C Flash Drive are your go-to gadgets for quickly and easily backing-up your smartphone and tablet on holiday. And for keeping yourself entertained on long-haul flights -the SanDisk Connect Wireless Stick allows you to stream HD videos and music from your pocket or bag as saving and sharing photos and videos from your mobile device. Western Digital has you covered when it comes to on-the-go essentials, which are great for keeping entertained on long-haul journeys and enjoying freedom from storage stress on the move. With My Cloud Home personal cloud storage, you get the gift of connection so you can easily access, save and share your cherished memories from a central location, no matter where your travels take you. Having a laptop with you to back up and free up memory on your mobile devices during your summer trip is the farthest thing from practical. The beauty of SanDisk products is that they are compact enough for carry on, whatever weather your holiday throws at you, your precious memories are safe. SanDisk iXpandTM Base – designed to automatically back up your iPhone's photos, videos, and contacts every time you charge. SanDisk iXpandTM Flash Drive– offers an easy way to free up space on your iPhone, automatically backs up your camera roll, and even lets you watch popular-format videos straight from the drive. SanDiskTM Dual Drive Type-C – lets you quickly and easily transfer files between smartphones, tablets and computers. SanDisk ConnectTM Wireless Stick – allows you to wirelessly access your media or transfer large files, stream HD videos and music, and save and share photos and videos to and from your mobile device. My Cloud Home Duo – gives you all the great features of My Cloud Home, plus automatically saves content twice.